Summer has been beautiful in Seattle this year – and I’ve been taking advantage of it. My month turned into almost two months – I just couldn’t bring myself back to the computer. But now I’m refreshed and ready to go again. rid of a similar amount. So who’s paying for this fast fashion? Turns out we all are. The same thing happens to me when I pick up a cute whatever and then quickly put it down when I catch its chemical-y smell. 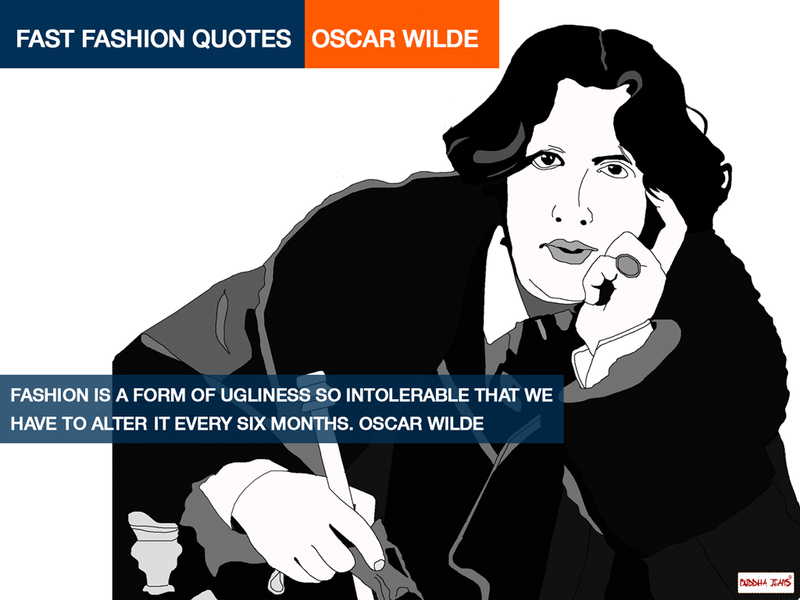 What is the fast fashion we love actually made of? Some really bad stuff, it turns out. I think you know some of the health concerns regarding phthalates and hormone disruptors since there has been lots in the media about Bisphenol A (a synthetic estrogen) – surprisingly a component in textile processing. A brand new study has linked phthalates to increased insulin resistance in teenagers, a condition that can lead to Type 2 diabetes. Nonylphenol ethoxylates (NPEs) are a group of chemicals that mimic the human hormone estrogen. NPEs are highly toxic to aquatic life, degrade into a long-lived chemical that builds up in the food chain, and may harm reproduction and development in humans. Both the EU and Canada have passed laws regulating the use of NPEs. And azo dyes can break down into amines which cause cancer – these too have been regulated in the EU and elsewhere around the world. These chemicals were found in clothing we put on without a second thought, but they are available to our bodies when worn next to the skin – which is a permeable membrane. Dermal contact is a major route of exposure for these chemicals. On top of the effects to our personal health, the environment takes a beating too: the textile industry is the #1 industrial polluter of water on the planet, dumping untreated effluent (containing a witches’ brew of toxic chemicals) into our groundwater. And we’re all downstream. Most consumers still buy their clothes without thinking about the workers. 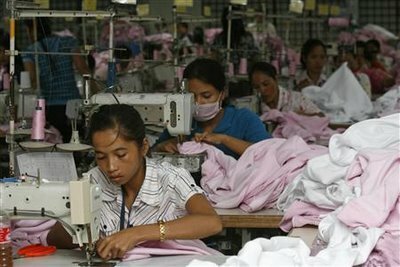 Sadly, the price of cheap fashion today is slave labor and inhumane working conditions. The sad fact is that fast doesn’t mean free – and the costs are high. 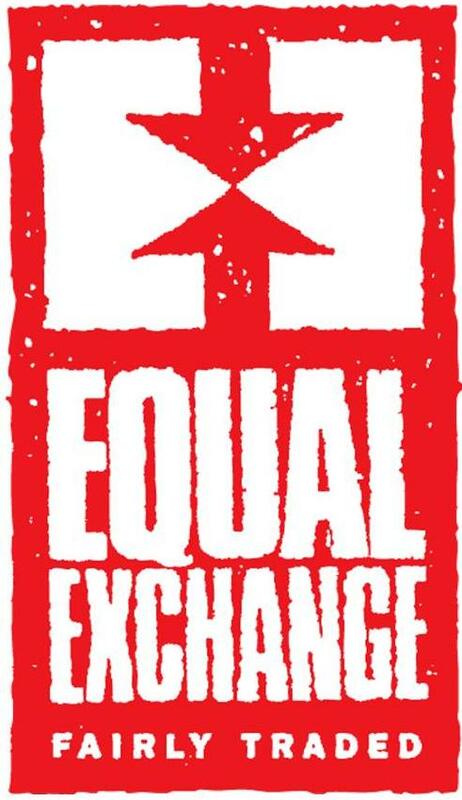 Equal Exchange was founded in 1986 to support authentic fair trade by challenging the existing trade model, which favored large plantations, agri-business, and multi-national corporations; to support small farmers; and to connect consumers and producers through information, education, and the exchange of products in the marketplace. With the founding, they joined a growing movement of small farmers, alternative traders (ATOs), religious organizations, and non-profits throughout the world with like-minded principles and objectives. The U.S. consumer co-operative movement has been an integral part of this movement. Underlying Equal Exchange’s work is the belief that only through organization can small farmers survive and thrive. The cooperative model has been essential for building this model of change. From their website: the founders envisioned a food system that empowers farmers and consumers, supports small farmer co-ops, and uses sustainable farming methods. They started with fairly traded coffee from Nicaragua and didn’t look back. During the 1990’s, Equal Exchange joined with a number of other organizations to create the certifying agency, TransFair USA (now Fair Trade USA). The goal was to create a mechanism, in a complex marketplace, to ensure that a company’s products were providing social, economic and environmental impact for the small farmer organizations that grew them. With a third party certifier, it was hoped that consumers would have more confidence in their purchases without needing to background check every brand and product. This turned out to be good business and Fair Trade USA grew as a result. Deep controversies in the Fair Trade movement have been simmering for over a decade. As time passed, Fair Trade USA began to take on a life of its own. Rather than confine itself to its purpose as a certifying agency, collecting fees from industries that used its seal and monitoring them to ensure that Fair Trade practices were being met, Fair Trade USA soon developed its own vision. “Quantity over Quality”, “Breadth over Depth”, and other qualifiers came to be used to describe Fair Trade USA’s vision of a world in which vast numbers of products throughout the grocery store could be certified Fair Trade, in as fast a manner as possible. Their problem was supply. Working with small farmer organizations can be challenging and time-consuming. These organizations don’t have the same access to market, credit, infrastructure, and technology that large plantations generally do. Over the opposition of the ATOs, farmer organizations, and a host of other Fair Trade advocates, Fair Trade USA and its umbrella organization FairTrade Labelling Organization (FLO) began certifying plantation tea, bananas, cut flowers, and other products with a set of different, less rigorous standards than those elaborated for small farmer organizations. Soon, large corporations began to see value in certification as well. They discovered that consumers would respect all of their products, even if only one or two were certified as Fair Trade (this happens in fabric collections too). Fair Trade USA rapidly began courting big businesses into the Fair Trade “family”, such as Chiquita, Dole, and Nestle. The Fair Trade advocates protested, but to no avail. Big business profits grew and, as more volume got certified, Fair Trade USA continued to grow as well. Equal Exchange feels that all their advances are now in jeopardy, because Fair Trade USA has left the international Fair Trade System (FLO International/FairTrade International), lowered standards, eliminated farmers from their governance model, and invited large-scale plantations into coffee and all other commodities. Equal Exchange has recently launched the Stand with Small Farmers campaign for authentic Fair Trade in response to these actions by Fair Trade USA. They believe that small farmer cooperatives are the heart of Fair Trade and the engine of real grassroots development. This is not Fair Trade and we are asking you to join with us in differentiating Fair Trade USA’s model from the authentic small farmer Fair Trade that we are collectively building. 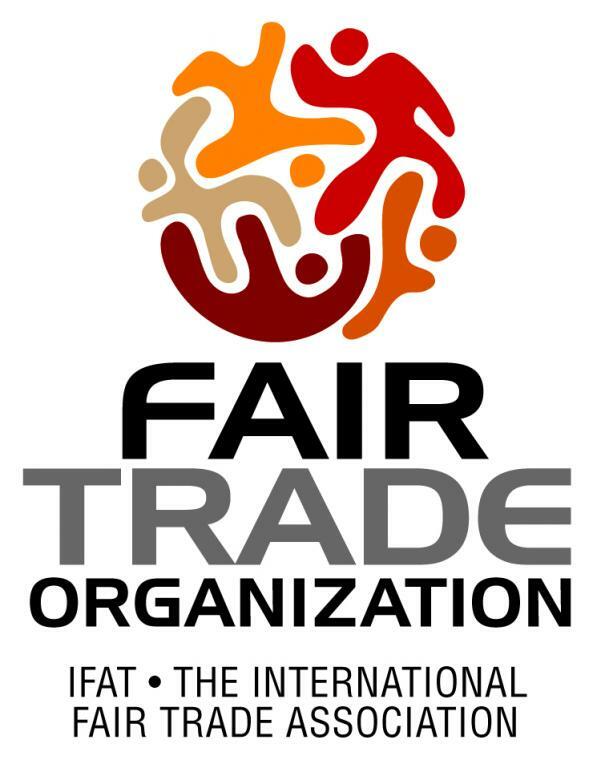 In October, 2010, the original organization, TransFair, unilaterally changed its name to Fair Trade USA. Ten thousand people signed an Organic Consumers Association petition asking them not to appropriate the name of an entire movement. No response. During that same time, TransFair announced their Fair Trade Apparel standards. Fair Traders complained that the standards are too low and don’t require unionized factories. http://ethixmerch.com/blog/race-fair-trade. No response. 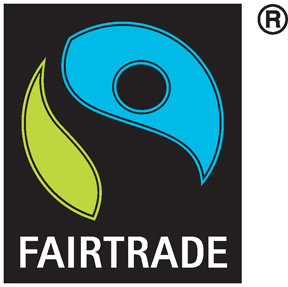 In September 2011, TransFair – now Fair Trade USA – announced their new initiative, Fair Trade for All, certifying plantations in all remaining categories (coffee, cocoa, sugar, and cotton). This strategy means that small farmers will now be forced to compete with large plantations for market access – the very reason Fair Trade was created in the first place. The Fair Trade community opposes this action. Read the Latin American and Caribbean Network of Small Fair Trade Producers’ (CLAC) statement: http://smallfarmersbigchange.coop/2011/10/05/4153/ and Fair World Project’s statement: http://fairworldproject.org/news/single/477. Part of Fair Trade USA’s, Fair Trade For All initiative includes lowering standards so as to make it even easier for corporations to label their products as Fair Trade. Many have opposed this. Read FWP’s statement: http://smallfarmersbigchange.coop/2011/10/20/fair-trade-usa-goes-rogue-new-%E2%80%9Cstandards%E2%80%9D-undermine-fair-trade-commitment-to-farmers-and-consumers/and the United Students For Fair Trade statement: http://smallfarmersbigchange.coop/2011/10/28/united-students-for-fair-trade-call-for-a-boycott-on-transfairfairtrade-usa-certified-products/. The day afterFair Trade USA announced their strategy, knowing that they would be opposed by FLO International, and the movement in general, they left the FLO system and now plan to go it alone. This was the breaking point. Please ask your friends and work colleagues to sign our public statement: http://www.equalexchange.coop/fair-trade-campaign. They may sign as organizations and/or individuals. Please continue to educate yourselves and others about the issues brewing in the Fair Trade world. For more information on Equal Exchange’s perspective on the differences between Authentic Fair Trade and what Fair Trade USA is doing, please read Rink Dickinson’s views here: http://smallfarmersbigchange.coop/2011/10/23/4269/. For a producer point of view, please read this: http://smallfarmersbigchange.coop/2011/12/15/mexican-small-farmer-fair-trade-producers-speak-out-we-can-only-move-forward-with-authentic-fair-trade/. If you have any questions, please call Phyllis Robinson, Education & Campaigns Manager at Equal Exchange, at 774-776-7390. Fair Trade – what does it mean? Trade issues raise a lot of hackles – and they’re complex, global in scope, subject to capricious trade agreements and governmental intervention. According to Oxfam, trade is robbing poor people of a proper living, and keeps them trapped in poverty because the rules controlling trade heavily favor the rich nations that set the rules. Rich countries and powerful corporations have captured a disproportionate share of the benefits of trade, leaving developing countries and poor people worse off. Oxfam is working to ensure that countries change the way they trade. The fair trade movement is about creating a better world – one where economy works for the people, not against them. Basically, what we see as fair trade has concentrated its efforts on the producer: It recognizes that small producers lack a voice to achieve the best price for their products, and it aims to bring relief to these small producers. October is Fair Trade month – the theme is Every Purchase Matters: “Every purchase matters means taking an extra moment to think about the impact your purchases will have – on your own wellbeing, on the people who produce the products and on the environment. “ As I said in last week’s blog, that’s a great thing to think about for each and every purchase you make – for lots of reasons. 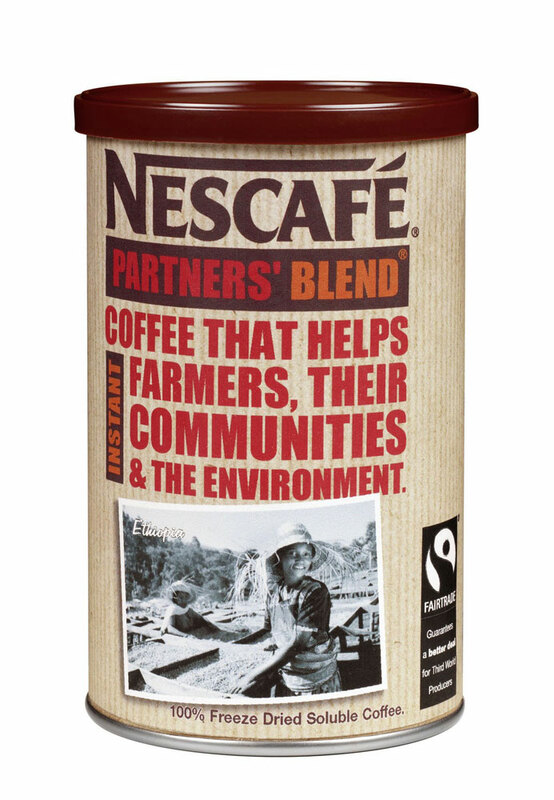 I bet you’ve seen the FairTrade Mark on products recently. Ever wonder what it really meant? I mean, you can’t change the world unless you understand how it works, right? 3. Customers who buy the products. (Yes, we do have a role to play in this poverty alleviation movement.) We need to vote with our wallets and shop with our conscience. Fair trade also may include policies that honor the local natural environment involved in the production, as well as the promotion of people-to-people connections, fairness and sustainability. Sustainable development: Producers also agree to use environmentally sound production methods. Harmful agrochemicals and GMOs are prohibited in favor of environmentally sustainable farming methods, but fair trade certified goods are not required to be “organic” because sometimes organic certification acts as a barrier to markets so Fair Trade doesn’t require it. So how do we know if a product is Fair Trade? Well, one way is for the company to tell us so – and companies more and more often are making that claim, often with an environmental veneer attached. Fair Trade provides fertile ground for greenwashing. What if you don’t happen to believe the company? For product certification: The Fairtrade Labelling Organizations International (FLO) sets standards for and audits the supply chains of specific products from point of origin to point of sale (no matter who the end seller is). Licensed certified products will have a label from the FLO national affiliate on them (in North America, TransFair Canada or TransFair USA and in the UK Fairtrade Foundation). These marks ensure us that the standards have been met. For organizational evaluation: The World Fair Trade Organization (formerly IFAT) and the Fair Trade Federation (FTF) evaluate organizations for their full commitment to fair trade principles (no matter what kind of product they sell). FTF member organizations will have the Federation’s logo on materials related to their business. Doing justice to the criticism of fair trade would be too long for this post, but if you’re interested you can read about it by clicking here and here – and you can probably find much more on the internet. Because I’m interested in fabric and how Fair Trade fits into the fabric industry, let’s look at Fair Trade cotton, which is no different from conventional cotton, except that the farmer at the bottom of the supply chain receives a guaranteed price for his cotton which covers the cost of production and a premium for community investment. With regard to cotton, it’s important to recognize that Fair Trade cotton is not, by definition, required to be organic. This is because Fair Trade aims to support the most marginalized farmers, those who cannot always afford to convert to organic farming or who lack the knowledge about organic agriculture. It can take years to convert a crop to organic, but this transition is something that many Fair Trade cotton farmers work towards as they earn more income through the Fair Trade minimum price. There is added incentive to convert as well since Fair Trade pays a higher price for organic cotton. From the Fairtrade Foundation website: “Fairtrade cotton offers a positive alternative to thousands of cotton farmers in West African and in countries as widespread as India, Senegal, Burkina Faso, Egypt and Peru. Fairtrade certification brings farmers the guarantee of a fair and stable price. They also get an extra payment – the Fairtrade premium – which they can spend on community development projects such as schools, health clinics and clean water. Remember, you will not see a Fair Trade label on any textile product other than cotton since cotton is a commodity and the only fiber certified under Fair Trade certifications: there is no such thing as Fair Trade certified linen, hemp, sisal, jute, wool, cashmere, or silk. There is a new apparel and linen Fair Trade mark in the United States. Fair Trade Certified ™ apparel is supposed to be farm-to-finish. The entire supply chain, including mills for ginning, spinning, weaving and dyeing, is audited for traceability and basic labor compliance under Fairtrade Labelling Organizations (FLO) standards. During the summer of 2010, blank T-shirts, and men’s polo shirts became Fair Trade Certified in the United States. Plans are in place to expand the products available to include tote bags, aprons, women’s sweaters, knit baby clothes, women’s casual wear (e.g., hoodies, wrap tops, dresses, knit pants, camis, and tanks), plus men’s and women’s lingerie. It is important to note that the Global Organic Textile Standard (GOTS) also guarantees fair working conditions and fair wages for workers in the supply chain. GOTS also has the environmental component – requiring organic fibers, prohibiting use of toxic chemicals in the weaving and finishing of the fabrics, and requiring water treatment. And GOTS can be applied to the finished product , such as apparel or bedlinens, and it extends even to packaging of the goods (prohibiting PVC plastics, for example). And finally, GOTS does encompass all natural fibers. Another important note regarding Free Trade cotton: the United States has a system of subsidizing cotton producers, and this flies in the face of everything Free Trade is trying to accomplish. If you’re interested in these issues you can click here to read a recent Washington Post editorial about these subsidies, or just Google “US cotton subsidies and free trade”. If you support the Fair Trade movement, click here for some action steps you can take to make it a reality.